How do you organize all the various types of vocabulary that you want your kids to learn in language arts throughout the year? Do you start with certain groups of terms so that you can have plenty of time to review them as the year goes along? 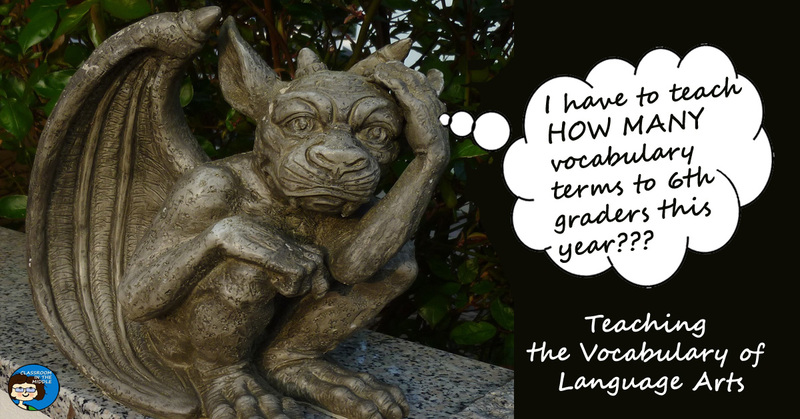 Check out my post, Teaching the Vocabulary of Language Arts, at Middle School Mob for some ideas about organizing and teaching language arts vocabulary. At the Middle School Mob blog you will also find posts about lots of teaching topics that are especially useful to middle grades teachers.